Clubbercise only launched to the fitness industry in early 2014 so we were understandably delighted when Virgin Active approached us this summer! 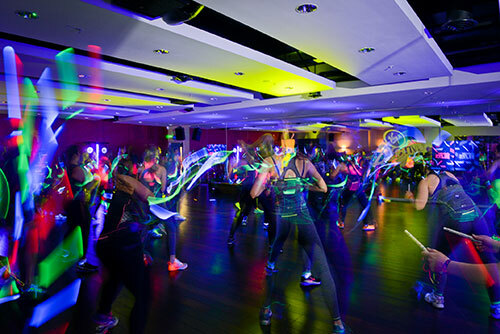 We were initially asked to present a short Clubbercise ‘taster’ session in front of around 200 Virgin Active employees. The session was a hit! Virgin Active decided to roll out our classes across their entire UK network, 96 clubs in total. An intensive month of training courses began in October with Clubbercise Lead Pro-Trainer Sonique teaching over 180 of Virgin Active’s instructors. The classes, which Virgin Active are calling ‘Pulse powered by Clubbercise’ started rolling out at the beginning of November. A high-profile launch event was held at Virgin Active’s Aldersgate club in London, with special guest DJ Zoe Hardman and well-known fitness presenter Jo Cooper. The partnership has also helped around 1,800 people get access to clean drinking water via Clubbercise support of Oxfam.